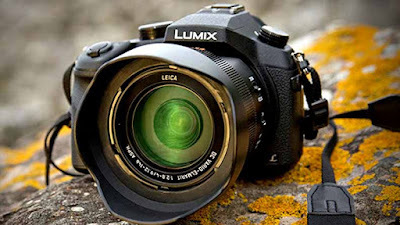 New Delhi : Japanese multinational electronics corporation, Panasonic, has launched two new 4K-enabled compact digital cameras - Panasonic Lumix DMC-FZ1000 and DMC-FZ300 - in India. These high-end offerings from the Japanese company to Indian consumers at the best buy price of Rs 45,990 and Rs 58,990, respectively. Both of them kick in wide-angle Leica lens systems and OLED viewfinders. Moreover these snappers also support Wi-Fi for connections with smartphones and tablets. The Panasonic Lumix DMC-FZ1000 has been blessed with a 1-inch 20.1MP sensor, and ships with 16X optical zoom. There’s a 5-axis hybrid optical image stabilizer and a 5-step speed control system onboard as well. Its lens is a Leica DC unit bearing a focal range of 25mm to 400mm and an aperture range of f2.8 to f/4.0. The Lumix DMC-FZ300 on the other hand, boasts of being a rugged camera thanks to its incorporation of a splashproof and dustproof body. Aimed at those interested in sports and adventure photography, it ships with a 24x zoom lens with a 5-axis hybrid optical image stabilizer. This Panasonic camera grabs a 12.MP sensor which is high sensitivity in nature and performs well in low light. Its zoom lens mentioned above has a focal range of 25mm to 600mm and a full-range f/2.8 aperture as well.